This beautiful and private end unit in one of the most desirable condominiums in Marathon offers a spectacular water view over Boot Key Harbor. Glass sliders open fully onto the screened in balcony providing amazing open space perfect for entertaining. Kitchen is a chef's dream with a 36'' counter top cooking range, double ovens and everything you need right at your fingertips. Every inch of space has been utilized and was precisely thought about when constructing this kitchen. Cherry wood cabinets accented with beautiful black speckled granite give a sleek look. Enjoy stunning views while you cook with plenty of room for your guests to relax. 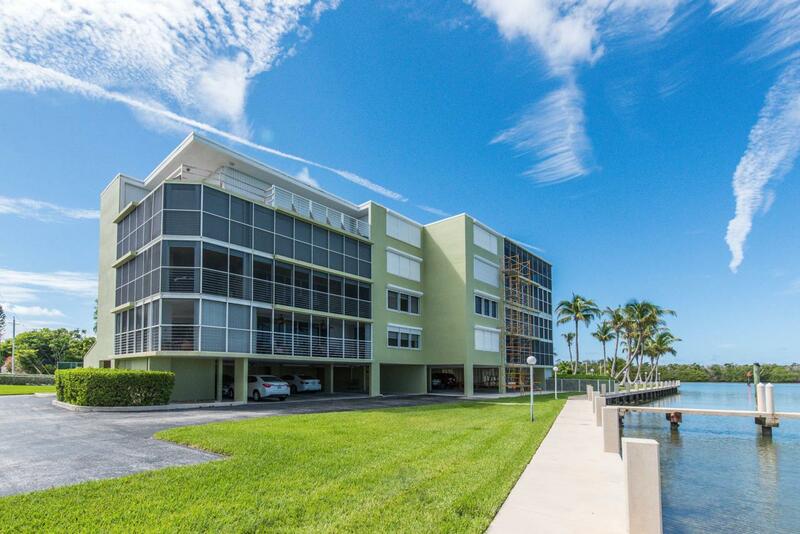 Condo offers elevator, harbor side pool, grill area, tennis courts & more. Plenty of storage which isn't always easy to find in condos in the Keys!Spacious walk in closet in the master bedroom and tons of storage space in hall closet and laundry room. Very private, well maintained, across from Golf course and close to shops, restaurants, grocery stores, theater, salons and more. Don't miss the opportunity to see this spectacular unit! Listing courtesy of Teresa Yeider of Berkshire Hathaway Homeservices Keys Real Estate.